Before they sold games, Foam Brain ran Live Action Roleplaying Games. This is one of my early forays into graphics work — a full page ad in the Connection 2008 conbook. 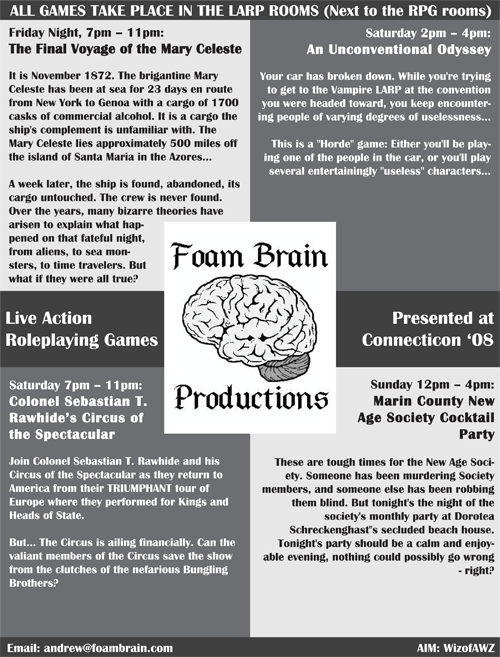 Published November 13, 2014 at 500 × 657 in Foam Brain Productions – LARPs at Connecticon 2008.